We know that your pet is an important member of your family and we pledge to make him or her feel safe and comfortable while in our care. 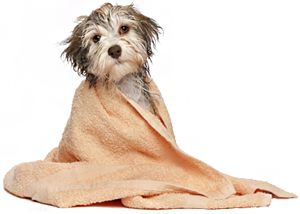 Every dog and cat, regardless of size, breed, age or coat type, needs to be groomed on a regular basis. Our caring professionals are available to provide a variety of services to ensure your pet is happy, healthy and looks great. At Liberty Pet Grooming & Supplies, you will find caring professionals who love animals and, like you, want the best for your pet. Regular grooming can help prevent problems such as excessive shedding, skin and paw disorders, painful mats and bad breath, as well as help you identify other problems that might go unnoticed without extra attention. 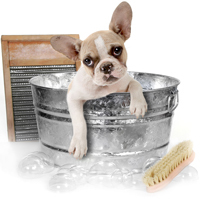 Liberty Pet Grooming & Supplies is dedicated to providing a safe and stress-free experience for your pet. Every animal is treated with love, patience, and respect. 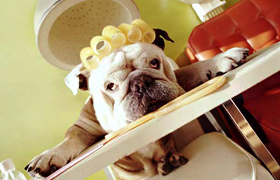 One of our biggest priorities, is to educate you about the details of your pet's specific pet grooming needs.